My name is Lucina. I'm a maid in the kings castle....Unfortunately the other servants pick on me too much Because I have to do the lighter stuff in the castle.... Although I have NO idea on WHY they think that!! The king and his sons wear there clothes out SO horribly!! I get calls in the middle of the night!! "Lucina!!" the child prince called "Father ripped my shirt!! I need you to repair it!" "Yes you're highness......" I say solemnly "I will get to it Immediately is there anything else you want me to fix for you?" "Yes.....Dad tore his royal Teddy Bear Shugaro!!" he said near tears "Father tore my bears arm off. saying it's not fit to hold onto a stuffed toy at my age....." "Oh! come here sweetie! don't listen to him you're father just grew up very harsh...." I stated shocked "I'll fix shugaro for you and he'll be as good as new in no time! I promise." He smiled nodded and left the room smiling then the king walked in looking mad at me for something. "Did you just say you'd repair that thing?!" he asked coldly "Are you going to fix that?!" He pointed to the teddy bear I was holding in my arms "Yes sir I intend to fix shugaro.... you're majesty..." I said strongly and clearly "It's something that's extremely important to him... I don't know why you're so bent out of shape over a stuffed animal sir!" "That thing is a monstrosity!! It symbolizes my last marriage!!! THAT wench gave them these to spite me!!!" He yelled his rage made me jump slightly "NOW HAND THAT BEAR OVER NOW!!!!!" "I WILL NOT!!" I shouted at him "no matter how badly you tear this bear up I will keep fixing him till you give up!!! so enough with it!!!!" The king Slammed me up against the wall by my neck "HAND THE BEAR OVER NOW!!" He growled "OR I'LL KILL YOU!!!" I gripped the bear even tighter. My intent obvious "NO...." I choked 'Now I realize it's not good to piss off a demon king....... GREAT!!!' "I won't give the Bear up!!! NEVER!" There are six princes in the demon kingdom, I'm the forth prince and the better looking prince. My name is Roka and I not exactly next in line for the crown. I have no hope of ruling the country unless my there perfectly healthy older brothers miraculously met their doom, though I doubt that will happen, I hope not. I don't mind though my brothers can have the country I'm not leader material anyway. I much rather spend my time reading books, wooing lovely ladies, and doing pretty much whatever else I please. Anyway, I'm currently taking my laundry down to our maid Lucina. I could have had a maid take it down for me but I'm a gentlemen and I wanted to make Lucina's job easier. That's when I came across her arguing with my father about that stupid teddy bear. Not this again, I admit stepmother was a devious witch but there's nothing wrong with the stuffed animals she gave to my younger brothers. In fact that was the only good thing she did. I set down my hamper and came to Lucina's rescue, I have to preform my gentlemen duty. "Father are making a fuss about that teddy bear again?" I said. "Roka stay out of this," he replied. "Father just let my younger brothers have their bears its no big deal. All this fuss about a stuffed animal is embarrassing. Do you want her to win? Besides a gentlemen like yourself has to be nice to our maids and children right." He grumbled as he let go of Lucina and walked away. He's nicer to me since the first queen, his true love, died giving birth to me. So I'm handsome and spoiled, yay me. "Lucina when you get the chance could you please wash my clothes," I said to Lucina "Thanks beautiful." Then I started to walk out the room. I was running towards momma when I saw his majesty prince Roka come out of our room.... "Good afternoon Prince Roka!!!" I said running past him and showing momma the flower I picked for her "Momma!! I gots a flower for yas!!" I look almost exactly like my mother. Her bright pink hair mixing with her golden hair and her eyes are such a beautifull turquoise blue shade they look like the ocean at high noon.... I have one of her colored eyes and one eye that matched that of my father's but I've never met him..... "Hey momma what was papa like?" Lucina's mom was fixing my cuff links so I stooped by her room to pick them up. Lucina met me on the way out and said hello then she went to her mother giving her flowers. How nice she's really sweet. As I walked away from the room I wondered what it was like to have such a close bound with a birth parent. I never met my mother so I don't really miss her I'm just curious on what missing out on. My stepmother was really nice until she died after my youngest brother was born. then father married a witch and then divorced her. sigh he can't keep a women can't he. Now what should I do? I think I'll read a book. I went to the libary and found a place by the window. I noticed it was really stormy outside. "That's strange, it's not thuderstorm season," I said. "I'm not sure sweetheart......" I told my daughter "I never got to know him sweetie....." She sighed and I got back to my work load that was in the room I was about to take out the bear when the king returned to my room "Look I'm sorry about my behavior earlier and well I hope you can forgive me ma'am......" He said "That is why I must ask you to become my bride......" I couldn't speak at first at all I've been working here for five years at least.... but this is a whole new meaning to becoming a new person..... "You're majesty! I cannot that would look very bad on your reputation your majesty...." I said in a rush trying to regain my composure "no offense your majesty but I don't want to gain any power nor any rank sir.....me and my daughter are happy just to work here in your castle your majesty....." I couldn't control my mind nor my emotions. I suddenly realized what the storm was it was just my older brother playing with his magic powers again. That show off. Ignoring the storm I went back to reading. Once I was finished I left the library. As I passed the hall where Lucina's room was I couldn't help but over hear father proposing to Lucina's mother. I sigh stupid old man, no matter how many women you marry you can't replace my mother at least I'd like to think so. Even though I could never love my mother, I'd like to think of her as the true queen of demons father's true love. Because since I'm the last son she gave birth to that makes me special too. That would also make me the greatest of the princes. Moving through the hallway I was devising a plan to sabotage my brother's evil plot to whore me off. "Lucina sweetie go outside and play before it gets dark...." momma said "now run along momma has a lot of work to do okay?" "Okay momma!!" I shouted and ran out of the castle smacking into the three High princes "look now what we've caught!" prince Tsuko shouted at his two other brothers "We've caught the seem stresses daughter!" "What should we do with her?!" Prince Tomoko asked his twin Prince Hikako "should we tie her up and torture her?" "Why can't we leave her alone brothers!" Prince Hikako said calmly "it's not right to pick on people smaller and weaker than you...." I said nothing I didn't even let my eyes tear up like my heart said to do. "Why would we want to willingly let her go?" Prince Tsuko asked Prince Hikako "She is fun to torture.....She doesn't whine or tattle....." "She doesn't even cry!!" Prince Tomoko cried excitedly "what should we do with her today?!" Tsuko and Tomoko sounded as if they've been starved for weeks..... I took a deep breath and couldn't stop myself I screamed "HELP ME!!!!!" I screamed "THEY WANT TO HURT ME!!!!!" I heard Lucina cry for help, being the gentleman I'm I dashed to her rescue. That's where I found my older brothers picking on her. Hikako was doing his best to defend her but there was no way he could fight Tusko and Tomoko alone. "Hey quit picking on her," I said "She does your laundry and sewing for you guys you should respect her. In fact, Lucina this is a order the next time my brothers try to hurt you dump their hampers in the mud." I almost started laughing at the thought of Lucina dumping their clothes in the mud serves Tusko and Tomoko right for trying to whore me off. "So beat it you two and leave the poor maids alone. If you have to torture someone go find a human or someone who doesn't work for us." I couldn't help but smile when he told me to dump their clothes in the mud next time they torture me.... After they left I ran to Prince Roka and hugged him "OH THANK YOU PRINCE ROKA!!!!!" I shouted happily "Thank you so much for helping me!!! I couldn't believe they were going to try that today!!!" I smiled and looked for the sun which was nowhere to be found then let the prince go and skipped off to momma's and my room then got into bed as momma read me The frog Prince as I drifted off to sleep. When I woke up the next morning momma was gone. I got up got dressed and went looking for her but couldn't find her anywhere in the castle "Momma?" I whispered quietly I went to our room locking the door behind me then went to sit on the bed with my legs curled underneath me "Momma where did you go???" "Poor little thing.....She's all alone now with out her mother...." One maid told the old cooker lady "Her mother died last night during the raid of those evil Outlanders!!" "What do you mean?" the old cooker lady asked "What happened last night?! Why is Lucina all alone?!" "Her mother Amelia god bless her soul....The outlanders took her outside and killed her.... now the poor little dear is all alone without a mother!!" After my brothers left Lucina hugged me and thanked me for helping her. "It was not problem beautiful," I said "A prince who does absolutely nothing should at least protect women's rights. Just call on me if they bother you again see ya beautiful." Then she skipped off she seemed happy. The next day however I strolled by the maid's quarters to hit on girls. That's when I noticed the sad and sorrowful look in their eyes. "Aw why the sad look beauties,' I asked. "Oh my lord prince Roka," said one maid "You haven't heard Ms. Amelia was killed by outlanders last night." I was shocked I couldn't believe those bastards would have the nerve to sneak into our castle and kill one of our maids. Wait why would outlanders raid our castle and take only a maid while six princes any a dozen other members of royalty slept blissfully unaware of what's happening. I told Hikako about this later but he wasn't very surprised. "Actually Roka only you were sleeping blissfully unaware," he said. "Yeah I can't believe you slept through all of that even Mako woke up." "Even Mako? I didn't think I was that heavy of a sleeper." "Putting your sleeping habits aside your right that is really weird that they killed a maid. We'll have to look into this more." "How did they get in here anyway." "No one knows. I'll do some investigating." "I'll help you. Those outlanders will be punish for their mistreatment of women." " Spoken like a true hero of justice. You sure you don't want to be king?" "One more thing could you check on Lucina? Since her mom was killed she's probably really upset." "No problem I'll meet you in the libaray later." I went to Lucina's room it was locked. I knocked on it. "Hey Lucina it's me, your wonderful prince Roka , are you alright beautiful?" I listen to prince Roka but my mind did not react to the coax out of bed..... I lay there silently crying wondering where my momma had gone..... I just layed there not moving not even thinking..... I'd been in the room for almost a week before I wanted out..... I was worried beyond all belief about my mother....."Prince Roka?" I asked behind the closed door "Where is my momma? I will open the door if you can tell me where she went......." I opened the door a little bit..... then all the way no emotion in my eyes what so ever (she is preparing for the worst possible answer It'll be over and she'll be back to normal in a bit) "I really have to know what happened to her!!!" I shouted and hugged him crying on his clothes....... "Please tell me!!!" When she hugged me I didn't know what to say. To tell her the truth would make her cry more. To not tell her would be even worse. I'm ashamed to call myself a man, I face a girl when she's crying so badly. What should I say what words would make her smile again? I held her closer and I finally said "Listen Lucina, your mother was....."
I let go of Lucina to find a royal gaurd standing nearby. "The king wishes to see you and your older brothers in audience hall right now," he said. "Is this about the outlanders? Can it wait for a little bit?" I quickly took another look at Lucina's crying face. Then I sighed and walked with the guard to meet my father and brothers. I glaced back at Lucina ashamed that I didn't have the courage to tell her and face her saddness with her. I said "I'm sorry beautiful." as I walked away. How could I call myself a man now? I watched as Prince Roka walked away with the guard to join his brothers and father in the audience hall. I knew where that was and went through a short cut to get to the audience hall to listen to what they were going to talk about. I found a small space between one of the chairs and the wall that's where I sat and hid and waited to hear what was going on... I watched the king pace back and forth then sit in his chair for a second then get back up and begin to pace all over again. I hope they know where momma is! Prince Tsuko was the first to speak "Father stop pacing back and forth it's not good for you and it's making the rest of us nervous......"
As father continued to pace about, I had to endure this awful boredom. I wanted to talk to Lucina about her mother, she should hear it from me and not some maid gossip in the hallway. Why am I here anyway? It's not like I'm taking the throne I can understand my brothers but what the heck was this about. "Father stop pacing back and forth it's not good for you and it's making the rest of us nervous......" said Tusko. Finally my father spoke "As you all know one of our maids, Amelia, was killed by outlanders a few nights ago. You may be wondering why they did this and the reason is....."
Before he could finish there was some commotion going on outside. "What on earth could that be?" asked Hikako. This was my opportunity to escape. "I have no idea, allow me to check it out," I said as I ran out the door. "Roka, wait," cried father but I was already gone. Father sighed and said "It's like he doesn't want to take up the throne." "He doesn't!" cried all three of my brothers. "You know Roka doesn't seem to want to hang around us lately. you think he heard about our plan to whore him off, Tusko?" said Tomoko. "What's this about! *sigh* We'll talk about that later, anyway as I was saying...."
Meanwhile as I arrived at the gate it started to rain, that's just perfect. Even weirder all the guards and servants were just standing around staring at the gate, they all looked horrified. I walked up to one of the guards and asked what was going on. "My lord Roka, a group of outlanders handed us some kind of sacrifice," answered the guard. "Sacrifice? Do we still do that? That seems so barbaric for our kind." (They are very sophisticated demons) but still I don't see what the problem is." "Well the thing they handed us..."
He didn't finish his sentence instead he simply looked over at the gate. From there I saw a man lying on the ground, he was dying. Out of instinct I rushed over to help him. "My lord," cried the guard. As I approached the man on the ground I noticed the blood pouring out of him and then evaporating in a instant. Purple blood? I've never seen that before. Besides the blood he was in a terrible shape, what did they do to him? I kneeled down to him. He was out cold but I wanted to at least try to comfort him. "Hey, you probably can't hear me but I'm crown Prince Roka," I said " Your going to be ok, let's get you into a hospital wing. If you wake up I'll tell you a secret that no one else knows about ok."
I grabbed one of his arms and tried to pull him on my shoulder. He was heavier then he looked. "Hey one of you get a doctor," I ordered "and someone lend me a hand." Then we carried him into the castle while the rain still kept pouring. I sat in the room while they fixed the boy up. I hope he's doing ok. What on earth did those outlanders do to him? He looked about 7, what threat could he possibly pose? Plus what was up with that purple blood? I suppose I'll just have to ask him when he wakes up. I also started to wonder how Lucina is doing, I wanted to go talk to her but I didn't want to leave the boy's side. Some prince I'am, I can't even face a crying girl. Then again I never was very cut out to be a prince in the first place. I didn't want to hear anymore from the king and his prince's talk so I ran off after Prince Roka..... I found him in a room nest to a very hurt child "Prince Roka......." I said at the door coming closer to get a better look at the child "Who is this? Prince Roka??" I looked at him a bit more then turned and sat by the bed facing Prince Roka..... 'They said my mother was killed Prince Roka has to tell me the truth........' I thought in solemnness then said "Prince Roka...... The king said my momma was killed........... Please tell me this isn't true......... I wanna see my momma again please!!!!" Suddenly, Lucina came into the room with tears in her eyes begging me to let her know the truth. I simply stood there dumbfounded. I stared at the ground and said "Lucina.....I..." "It's true your mother was killed," said Tusko who burst into the room "There, that's what you wanted to say right? I don't know why you were having such a hard time with it." "Tusko!" I said afraid of how Lucina might react. "Your such a weakling brother aren't you supposed to be the defender of women? What a pathetic excuse for a prince." I was so angry I was about to punch him . How dare he mock me after telling Lucina about her mother. Why does he have to be so cruel to her? I wanted to unleash all kinds of rage upon him but then Tusko said " Are you angry little brother careful now you don't me telling Lucina here about that little royal secret." "So you don't know then? Well never mind I have stuff to do. Later little brother." As he left, I sighed with relief. he didn't say anything else. Of course I know about that, I'd be an idiot if I didn't but that didn't matter now. "Lucina.... I'm sorry," I said "I'm not very much of prince am I? I couldn't even tell you about your mom and I'm sorry you had to hear it from him. 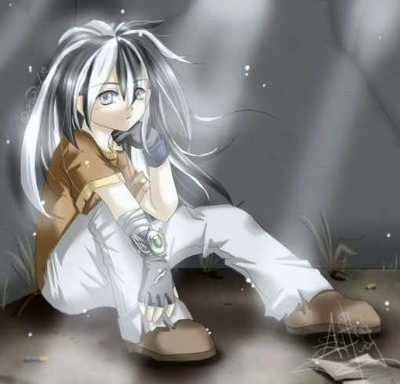 Just know your not alone, I'm here even if you don't want me, I'm still here if you need me." Lucina and I jumped when the boy suddenly woke up but then Lucina became calm and walked over to him. I couldn't believe how calm Lucina was after she just heard the worst news ever and she's still nice to everyone. She's a pretty strong girl, much stronger then me. Before walking to the boy she gave me some terrible news, I'm inheriting the throne. What is father thinking me ruling the country, my other brothers may be cruel sometimes but at least their good rulers, I stink. Before I became even more traumatized Lucina grabbed my arm and introduced me to the boy. She said I was the nicest of princes, I guess she's not to mad at me then. "HI I'm Roka," I said "I'm the one who carried you here. How are you feeling?" "I will get you some dry clothes and get a bath ready for you!!!!" I said as I ran from the room happily busing myself from my newest state of helplessness...... I quickly got some old clothing from the rags quickly sewing hem into something wearable....... then returning with the clothes, the Towel, and I started a bath in the joined bathroom when it was done I went back into the room saying "You're bath is set if you wish to take it......... and you have a new set of clothing waiting for you in the bathroom....... next to the bath............. Have a good day........." I walked out and went to my room my hand barely being able to touch the door knob 'I can't wait to be able to reach the door as easily as momma!!!' I thought smiling as I remembered momma's code "Continue to live life the way it used to be just remember we live in you......"